SEOUL (Reuters) -- Hyundai Motor said its net profit slumped for the sixth quarter in a row, in line with forecasts, as weak sales in key markets, including the U.S. and China, and the won's strength continue to hamper the automaker. Second-quarter net profit fell 24 percent to 1.7 trillion won ($1.5 billion) from 2.2 trillion won a year earlier, the automaker said today. Hyundai said sales in China -- its biggest market -- dropped by around 8 percent in the quarter as competition intensified and growth in the world's second-largest economy slowed. Profit was also squeezed by increased spending on sales incentives to lure customers in China and the United States, where Hyundai's limited SUV range has cost it market share. The rising popularity of foreign cars in South Korea has also undercut its long-dominant position at home. Currency moves have worked against the automaker. The won strengthened by a 11.5 percent against the yen and by 16.4 percent against the euro on average during the second quarter compared with a year earlier, giving an edge to Japanese and European competitors in export markets. The sequence of profit drops has discouraged investors, with shares having fallen about 22.5 percent so far this year as of Wednesday's close. Hyundai shares have slid close to their lowest level in nearly five years. In a move to soothe investor concerns, the automaker today said it will pay an interim dividend for the first time. Hyundai will pay 1,000 won per share, or a total of 268.7 billion won ($231 million), as an interim dividend, it said in a filing. 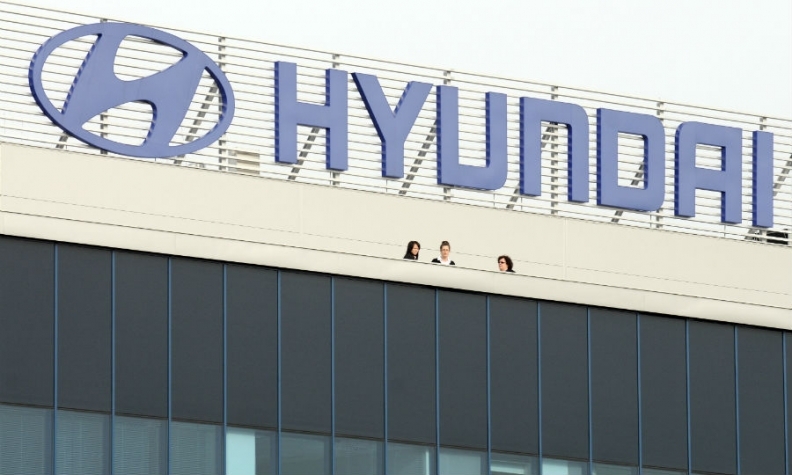 “With unfavorable economic situations, such as a stronger won, poised to continue, it seems unlikely that Hyundai’s sales will drastically improve anytime soon,” Lee Sang Hyun, an analyst at IBK Securities Co., said before the earnings announcement. The automaker is counting on revamped model launches set for the second half of this year to help it reverse out of the trend. Hyundai is expected to start selling a redesigned Tucson crossover in the U.S. at the end of July, and will also launch new versions of its Elantra sedan and Equus upscale model this year. Hyundai said it will change its manufacturing plans to increase the supply of its best-selling cars in China. The company will also increase sales incentives to attract customers in China, a move to counter domestic carmakers that have recently hiked market share, Chief Financial Officer Lee Won-hee said today in a conference call.